From my last post celebrating one of Manchester’s overlooked bands, it seems appropriate to turn my attention to one of their finest current exports. OK, technically they’re from Bury. And OK, their studio is in Salford. But when I’m sitting here a few thousand miles away, it seems academic to draw too fine a distinction. ‘They’re like Radiohead for girls’. I vaguely remember using this line to describe Elbow when I first came across them. It wasn’t a criticism, but it was my futile attempt to succinctly reflect how good they were. I have a very clear memory of the first time I heard Elbow. It was in Manchester Airport, in a record shop, listening to recommended new releases on the in-store headphones. I was immediately struck by the powerful vocals, and the complexity of the music. This was deep. This would reward frequent listening. This was like, well, Radiohead. For girls. It must have meant something at the time. If I’d spent more time to build up a picture of what this band actually sounded like, I’d have drawn on Talk Talk, Peter Gabriel, Roxy Music, even. The thing is, even on their debut album, they were so much more. I practically wore the CD through. My admiration for Elbow went skywards after catching their live show. Their first US tour was a co-headline affair, alongside Mo’ Wax also-rans South. Along with a couple of mates, I went along to the Bowery Ballroom, with relatively high expectations. Elbow were first on that night. They blew the roof off the venue. It was truly phenomenal to see a band so in tune with each other, and so clearly great at what they do. Without any doubt, it was one of the best performances I’d ever seen. Guy Garvey’s vocal delivery alone – heart and soul in his performance – would have justified huge praise. But this was a night for the entire band. I didn’t realise at the time that this wasn’t really that special a night in terms of Elbow’s performance. Every time – and I have seen them a lot – they knock the ball out of the park as a cohesive unit. I stuck by Elbow from that moment. I received each new album with huge appreciation. I saw them whenever their touring schedule brought them to my town. I bought them beers. There’s nothing to not like about the band. They stayed true to the strong musical ethos – each album containing moments of absolute beauty. From ‘Scattered Black and Whites’ on ‘Asleep In the Back’, through to ‘Switching Off’ on ‘Cast of Thousands, ‘Great Expectations’ on ‘Leaders of The Free World’ (immortal even if only for the line ‘Stockport Supporters Club kindly supplied us a choir’) and ‘Friends of Ours’ on ‘The Seldom Seen Kid’. I defy anyone to hold it together to this once you know the story behind the ‘Love you, mate’ line. I’m emotional even writing it. While I’ve seen many (many) shows, a few do stand out. They speak of a band which only gets better as they mature. 2)	Brixton Academy – also in support of ‘The Seldom Seen Kid’. For me, personally, living in London at this time, and hearing what can only be described as a love song to Manchester was about as memorable as a concert moment gets. ‘Station Approach’ did for me that night. 3)	Delamere – man-tre-luna (for anyone who was there). There’s a raft of other gigs that didn’t make the list above. Gigs which, frankly, for any other band would probably be the pinnacle. Gigs like the Royal Festival Hall with a choir, gigs like the MEN Arena ‘homecoming’. No, for Elbow these are pretty much par for the course. I look forward to any new material from Elbow. I won’t have a bad word said about them. And they’re not just for girls. 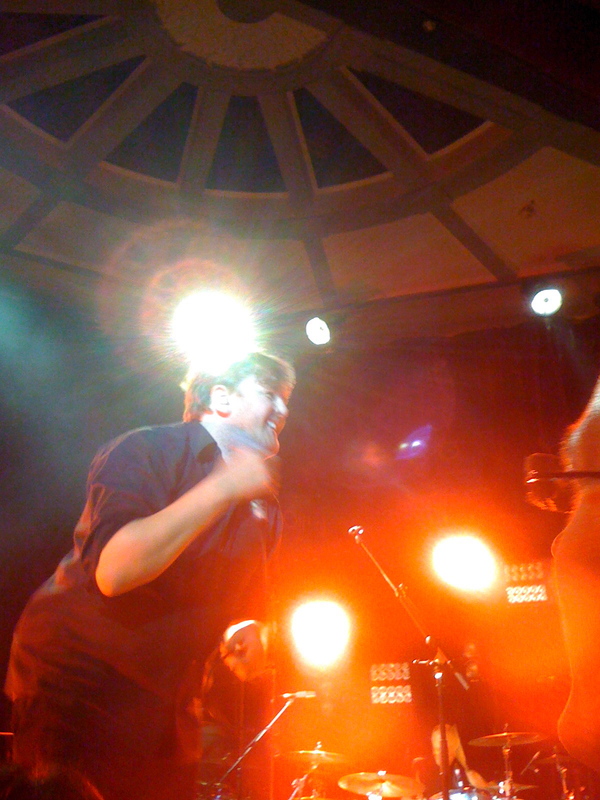 Here here on the Porchester Hall show..was amazing and they were charming as ever.. ahh Elbow. great contribution James! I read this. Then I re-read this. I remember Porchester Hall. I remember Brixton. Sadly I missed the forest. Not a Sunday goes by without a little Elbow playing in the background. Truly they are a band not to be missed. This just bought tears to my eyes, I think it’s how most Elbow fans feel. Delamere was superb along with I Am Kloot. MEN, Which I thought was going to be the amongest the top was actaully my worst. Elbow deserve are finer, more royal environment, not a souless arena. Great to see some of your thoughts on a truly remarkable band. I’ve been listening to them a lot this week. Again. The non-Manc sound of Kalima The Small Faces. Drugs may have been involved.